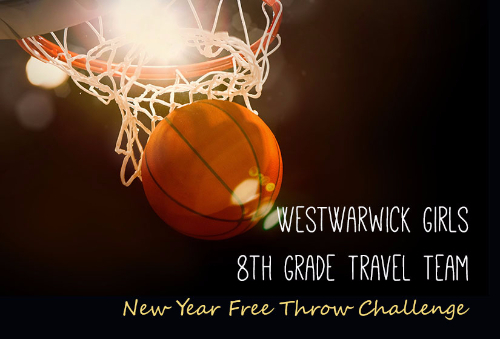 West Warwick Girls 8th Grade Travel Team will host its team wide Free Throw Challenge on January 15th! 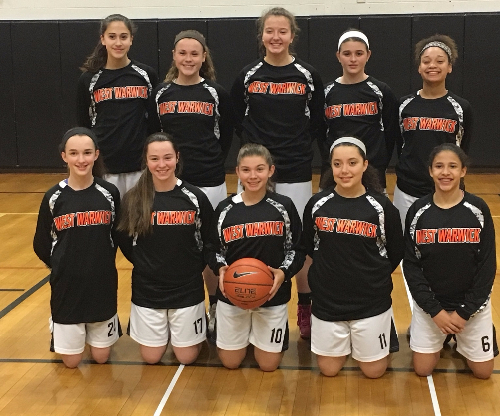 West Warwick Girls 8th Grade Travel Team will host its team wide Free Throw Challenge on January 15th! During the event every athlete will shoot 100 free throws. We are looking for sponsors for every MADE free throw. Please help us reach our goal! So proud of you Alexia!! Love your furry little cousin Max!! 0.50 cents per shot made, good luck Lex!!!! Hope you sink'em all Jenna! Don't make excuses. Make your free throws. Go West Warwick and Tori Bird! Good luck Larisa and team! Good luck! You got this Cap! We are so proud of you Tori! You got this. Hope you make your goal and more!!!! Your arms are going to get tired. Great Idea for a fundraiser!! Jenna, I hope that you make them all. We're so proud of you, Alexis!